Did You Know These 9 Things About The London Docklands? 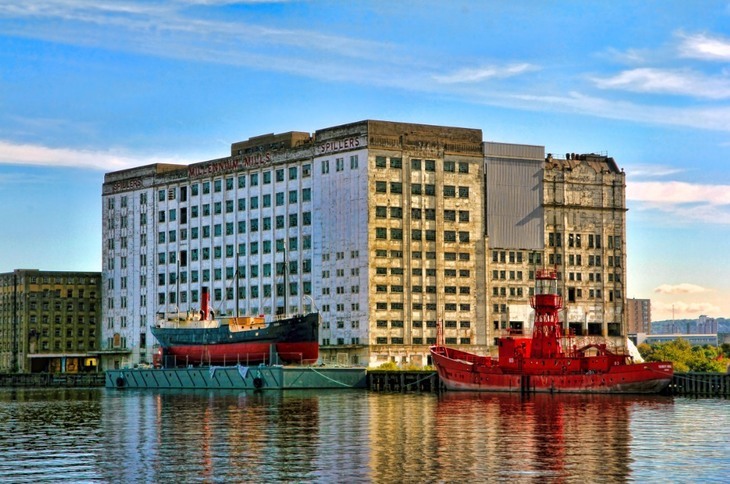 Jamie Shore Did You Know These 9 Things About The London Docklands? From a powerhouse of the British Empire to a derelict, poverty-ridden waste ground, back to one of the most important commercial centres of modern London, the Docklands has been through a lot. Here, we comb the area's past, dredging up some sparkling nuggets of trivia along the way. Trading in the area now known as Docklands goes back as far as the Romans. But the Docklands as we know it began in earnest, in 1799, with the West India Dock Act. This was brought in to curb the high levels of congestion, and subsequent theft, that arose from the denseness of ships moored in the Thames. The West India Docks — the first to be built — were the largest and most expensive building project in the world at the time. They cost £82m in today's money — and stretched for almost a mile. When completed in stages over the next few years, the entire site encompassed 90 acres, including 35 acres of water, 50 acres of warehouse space, 2.5 miles of quays and jetties and seven acres of wine vaults. Numerous other docks followed, including East India Docks, St Katherine Dock and London Docks. The latter was able to accommodate up to as many as 500 ships and store over 200,000 tons of goods. 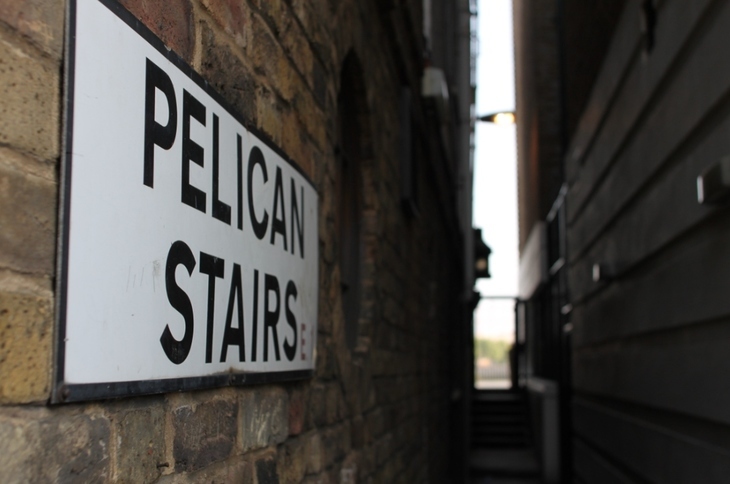 The first pub on the site of what's now the Prospect of Whitby in Wapping was a river-side tavern of ill repute called The Pelican. Its highly unsavoury reputation gained it the local nickname of 'Devil's Tavern'. The many small boats coming in and out of the banks from larger ships berthed in the middle of the Thames made this an ideal location for smugglers, river thieves and pirates to loot from. In the early 18th century, the pub got its current name. It's thought that it is named after a collier that used to moor on the bank outside on a regular basis. It was found at the spot so often that locals used to direct people to the pub by telling them to look for the pub next to 'The Prospect of Whitby' and the name simply stuck. River piracy and theft of stock from the docks became such a big problem that the Marine Police Force was set up in 1798 to finally confront the criminals. It is thought to be the oldest police force in England, pre-dating the Met Police by more than 30 years. 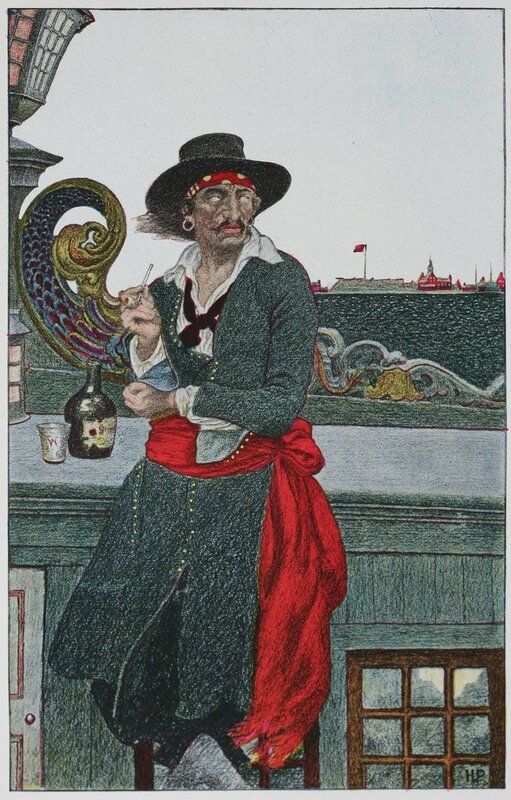 The notorious Captain Kidd — the inspiration for the novel 'Treasure Island' — met his untimely end here in 1701. The rope broke on the first attempt and he died only after the second effort. His body was left tarred and gibbeted in an iron cage on the Thames riverbanks for more than 20 years. 4. 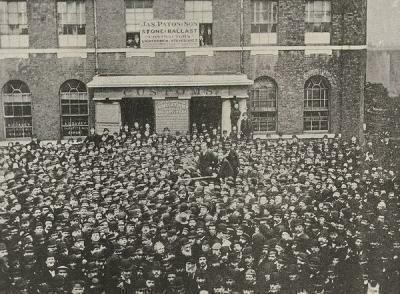 "Coats, flesh, even ears were torn off..."
Strikers outside the West India Dock Custom House. In the 19th century the 'call-on' system relied on there being more dockers than there was work. 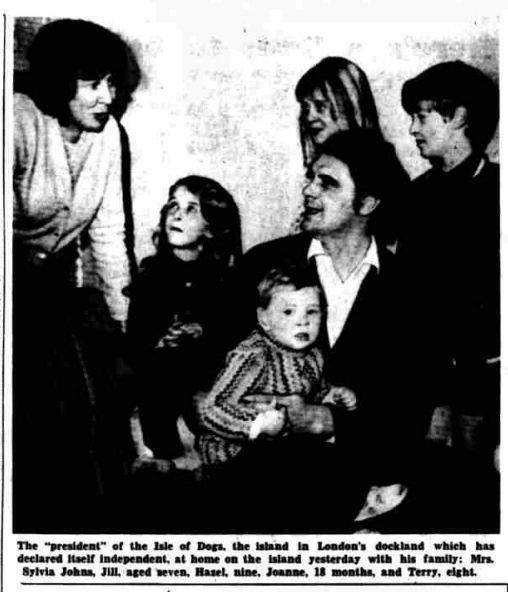 Chaotic daily scenes ensued on the Isle of Dogs with thousands of men climbing over the heads of those in front to get chosen for work. A contemporary noted that, "Coats, flesh, even ears were torn off. Men were often crushed to death in the struggle". Those who were unsuccessful were said to be 'left on the stones'. The area has a long history of worker unrest. Dockers Tanner Road off Westferry Road commemorates the great docker strike of 1889. Involving 100,000 strikers, this was the first time Britain's workers had organised on such a massive scale. The strikers successfully obtained a minimum wage of six pence an hour (the 'dockers' tanner'). 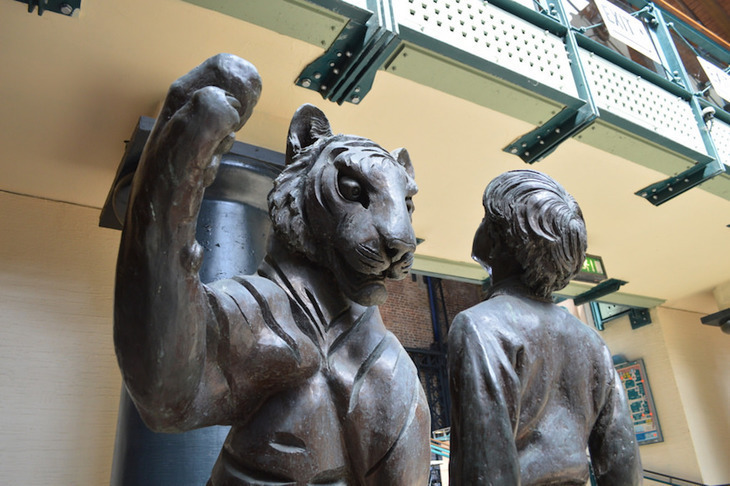 In 1857 a Bengal tiger broke free from animal dealer Charles Jamrach, the owner of the largest exotic animal emporium in the world, on Betts Street near Tobacco Dock. Having never seen such a beast before, a young boy approached the tiger and tried to stroke its nose. The big cat swiped the boy across the face, knocking him out, then picked him up and carried him off in its jaws. Jamrach managed to save the lad by thrusting his hands down the animal's throat, but was promptly sued by the victim for £300 in damages over the incident. 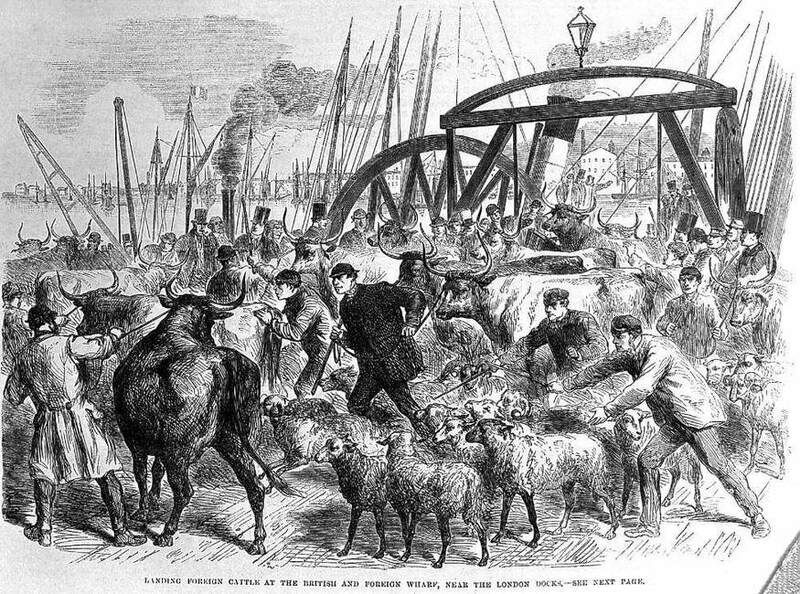 Work in the West India Quays was brutal. The abrasive sugar leaking from the sacks the dockers carried rubbed their necks, shoulders and hands raw. This gave the quayside the old name of Blood Alley. Today, 'Blood Alley' is home to the Museum of London Docklands. The Silvertown Explosion of 1917 is the biggest explosion in the history of London. 50 tonnes of TNT ignited at the Royal Docks, killing 73 people and badly damaging up to 70,000 homes. Shockwaves from the explosion were reported in Norfolk and Southampton. The Port of London was also the most heavily bombed civilian target in Britain in the second world war. Over 25,000 bombs fell on the Docklands during the course of the war. [John's movement] is treated as a huge joke, and the woman in the cafe added "They are making us the laughing- stock of the world. Someone in Mexico wants to know when we are having our own stamps." 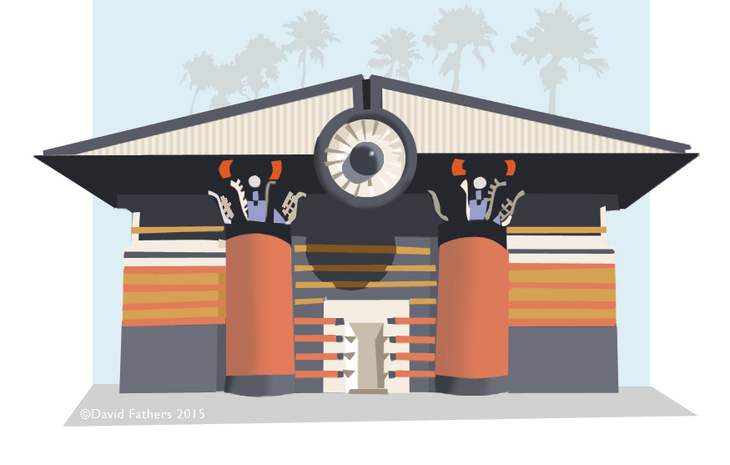 The magnificently weird Storm Water Pumping Station on the Isle of Dogs was completed in 1988 and was inspired by ancient Egyptian structures and practices of controlling water. The eccentric portal of stone and brick is the doorway to a completely unmanned station. The edifice was awarded Grade II listed status in 2017.